It’s National Nutrition Month and a great time to focus on making healthy, fruit- and veggie-filled meals. Get started with nutrition month recipes and how-to videos. Whip up Tropical Coconut Oatmeal for a healthy dose of pineapple. Chicken Corn Chowder makes the most of your kids’ favorite veggie. Chili Lime Mango Marinated Chicken Bowls are a balance of sweet and spicy. One-Pan Garlic Roasted Salmon with Brussels Sprouts is a simple, elegant dinner. Cauliflower Mac and Cheese with Chicken Sausage lightens up your favorite. 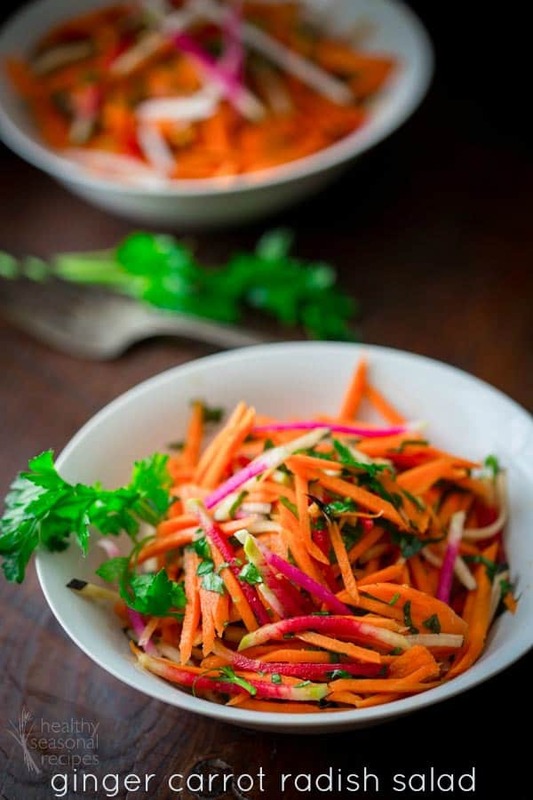 This easy Ginger Carrot Radish Salad is a perfect side for spring meals. This month is National Multiple Sclerosis Education and Awareness Month. MS and its symptoms can isolate you. But building connections can help. Steve Bettis, who was diagnosed with MS in 2006, experiences surfing for the first time in 10 years with virtual reality. Dancer Amy Meisner, who was diagnosed with MS in 1997, shares the experience of dance with others who can’t dance anymore. Find inspiring stories of people who have fought to overcome their MS and share your own story. Want to help fight MS? There are so many ways to get involved, like the Bike MS fundraising cycling series.